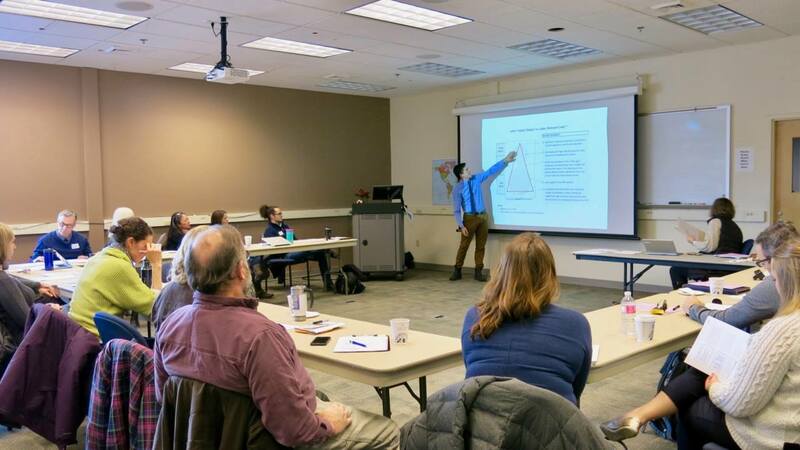 Careers CLiC co-facilitated the Vermont Internship Professionals Network Annual Meeting at the Community College of Vermont (CCV)Upper Valley campus. Kevin Stapleton, Economic & Labor Market Information Assistant Chief, Vermont Department of Labor, delivered a keynote presentation which explored youth employment trends in conjunction with Vermont’s growing and emerging occupations. The Vermont Internship Professionals Network (VIPN) brings together Vermont internship coordinators to share best practices and resources.